Your chances of getting traffic on a small business site are very slim unless you know how to promote it the right way. In this post, I am going to share with you my proven SEO strategy that has helped lots of my small business clients get the right amount of traffic and sales. When people have new small businesses, their marketing budgets are quite limited most of the times. Sure, there are countless other ways a small business could be promoted online. However, almost all of them are quite expensive. So, in my opinion, investing your time learning SEO basic concepts can help you a great deal to boost your site traffic for free. When you have a good amount of customers then you can think about using other expensive marketing strategies. When my clients hire me to optimize their small business sites, they have no idea what they should do to show their business to potential customers online. That’s the only reason, I am writing this guide to help business owners grow their sales. Most online businesses fail because of poor marketing strategy. SEO is quite an effective way to promote your business online. It should be a crucial part of your online marketing strategy. Find keywords to add in your site copy. Keywords are queries that your potential customers search on Google to find help/product. You can use plenty of keyword research tools to find those keywords. Here’s a step by step process to find keywords for SEO. Find out your top business competitors. You can find them by searching them on Google by entering business focused keywords. You can use competition research tools such as SEMrush and Alexa to research SEO strategy of your competitors. Define how would you use keywords throughout your website. Create a link building plan. By researching the SEO strategy of your competitors, it will help you understand a lot about how they are promoting their business online. It will give you a lot of new ideas to grow your business. It is a very crucial step for any small business to invest in gathering competitors’ data. How exactly should your perform a SEO competition analysis? Find out top websites on the keywords that you want to rank your website. For example: if you are targeting coffee shop in NYC, then you should check which websites are appearing in top search results on the keyword “Coffee shop in NYC” and similar. Find out how many times they used the keyword on the page? What’s their content strategy? Which SEO techniques can you apply to rank well? Lastly, check competitors backlinks. Use these best free SEO competition research tools to find out your competitors SEO strategy . keyword research is an integral part of SEO. Without proper keyword structure on your website, it is definitely not going to rank. No ranking means, no organic search traffic and definitely minimum sales. Make sure that you are using properly researched keywords. Always use keywords which have low competition. I have compiled a list of best free keyword research tools that you can use to find the best keywords. Every small business SEO needs a site-wide audit. This will help you find out errors which are stopping your website to perform better than your competition. Make sure that you look for things which can be further optimized. There’s always a room for improvement, make your website the best website ever. You can use some of these tools to perform a site-wide SEO audit. If you want a professional SEO audit of your website, then I would recommend you to hire an SEO specialist. There are many things that you can do to optimize your website’s on page SEO. By following these best on-page SEO tips for beginners you can rank any low competitive website quite easily. Use a primary keyword in HTML H1 tag. Create internal links to other pages and posts of your website. Use keywords in the first few paragraphs of a web page. optimize website to load faster on every device. Google prefers fast websites to appear on the first page of Google. If your website is extremely slow, your website will perform not to its full potential in search results. I recently did a comparison between WP Super Cache and WP Fastest Cache, make sure to check that out especially if you are using WordPress. Speed optimization is especially more important if your potential customers use your keywords to search your business on mobile. Using unoptimized image can slow down websites. You can easily compress images without losing quality, even after uploading them to your site. Schema markup is especially good for local websites SEO. Using schema markup on your website will help Google show better and more informative search results to users. It will also improve your website ranking and CTR. Internal links are HTML links created on the same website to connect to different pages. It enhances the navigation of your website and allows visitors to navigate through your website easily. It is important that you provide complete navigation to your service pages, product pages, about page, contact page, and homepage. Always nofollow all external links on your website and when creating links to internal pages of your website then make sure they are always dofollow backlinks. When you have completed your website, you might need to check if there’s any major site structure issue which can break your website functionality or stop it appear in search results. Google search console helps webmasters to find errors such as sitemap errors, 404 errors, 301 redirection errors, duplicate Meta tags, and crawl errors. You can use Google search console to check how Google bots see your website. By accessing Google Search Console account, you can fix errors reported by GSC. Doing so will boost your website ranking in search. In simple words sitemap in modern terms is an XML file which define a website structure and URL structure to search bots. Search bots then crawl these URLs and index them to it’s database. You can create sitemap on WordPress using different plugins. After that, you can submit a sitemap to Google and Bing. How to submit a sitemap to Bing Webmaster Tools? First you would have to register your website property in Bing Webmaster Tools. After that, you can simply copy your XML sitemap URL and submit it to Bing. How to submit a sitemap to Google Search Console? Create an account on Google Search Console. Verify your website property in Google Search Console. Now you can easily submit your XML sitemap by copying URL and pasting it to GSC. There are many platforms which provide free blogging and website setup. Like WordPress.com, Tumblr, medium and so on. Use these platforms to write blog posts on topics relevant to your business. Make sure that it is useful to your readers and you are offering some value to the reader. Don’t forget to leave a backlink to your website in the post. It will improve your business online reputation. Improvement in ranking and website authority. Create social profiles on your business name so your clients or customers can easily find you. If there is an option to share your website on your profile, it is important that you utilize that option. Add your website to your social profile. There are many benefits of writing a guest blog post on the authority website in your niche. It will bring direct traffic from that blog to your business website. A backlink from high domain authority website will boost your website’s ranking. Find out top bloggers who cover the topic relevant to your business. For example, if you are selling shoes online, then there are blogs that write about the latest fashion trends. You can pitch them your blog idea and get published. 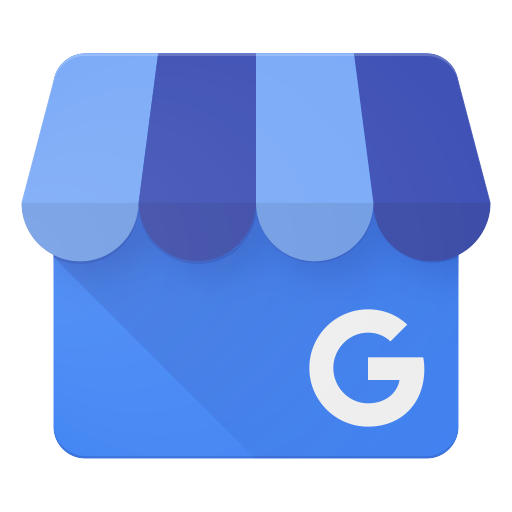 Google My Business listing is essential if you are a local business. It will help people find your business location through Google maps and Google search results. Google Business listing will attract new customers. Your potential customers would definitely search your business location if you provide products and services at your location. So, it is highly recommended to use Google My business. Online reputation management is a process of managing search results and reviews of a business which shows up in search results. If you want to make your business website get leads and business, you should improve your business online reputation. Here is a step by step guide to improve your online reputation. I hope you find this post useful. I know there are many other things which can be added to this guide. 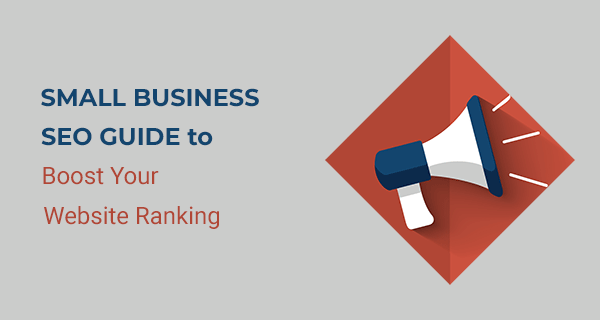 So, let me know what should be added to this small business SEO guide. I would really appreciate if you share this post to help other small business owners improve their website’s SEO. If you want to boost your website traffic and have no time to do that, then I can help you. I am a freelance SEO consultant who has experience of doing that for a couple of years. Get a quote now!